Realty Executives Way, Ltd. has opened in Lindsay, Ontario, Canada. Darolyn Jones, formerly with Re/Max All Stars, has acquired the franchise rights and is the Broker/Owner. Kawartha Lakes is a year-round outdoor playground and getaway destination with many options for boating, world-class fishing, hiking, cycling and skiing. More than 200 lakes and waterways are linked by the scenic Trent-Severn Waterway. Provincial Parks and conservation areas draw plenty of visitors, as does the Carden Plain, rated as one of the top 5 birding locations in Ontario and among the top 200 in the world. Kawartha Lakes is rich in culture with a deep heritage of railroad history, boasting sought-after museums and a thriving artistic community with historic performance venues. Congratulations to Broker/Owner Nelson Mathew on the opening of Realty Executives Edge, Ltd. in Guelph, Ontario, Canada. “I believe Realty Executives offers the very best level of support. We look forward to a positive relationship and growing the Realty Executives brand in the Guelph region. We invite you to visit us at our office anytime,” Mathew said. Nelson MatthewRealty Executives Edge Ltd.
Broker/Owner John Witt of Realty Executives Rocky Point recently showed off 3 beautiful beachfront properties on HGTV’s popular show, House Hunters International. 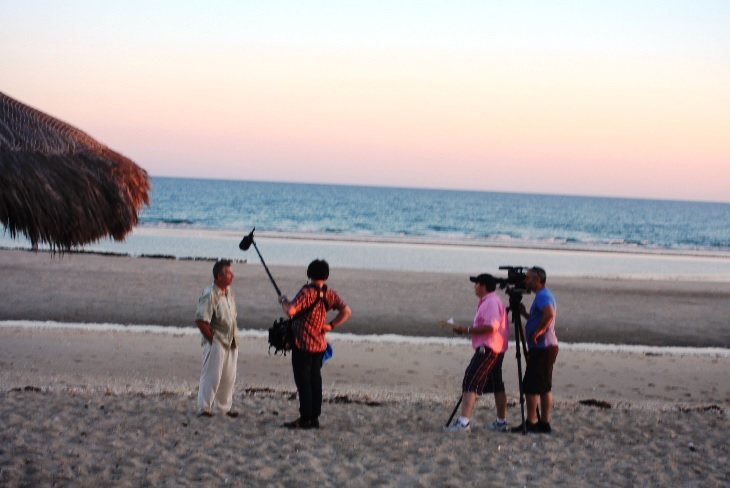 In case you missed this recent episode (John’s second appearance on the show), you can catch him as he guides his excited buyers- a husband and wife looking for very different things in a home- through the eye-popping Puerto Penasco area. Look out! You may be overwhelmed by the sudden desire to take a trip to Rocky Point (and consider staying there) once you watch this! Especially during the holiday season, we are so proud of the impact Realty Executives brokerages are making– right in their own backyards. As 2014 draws to a close, we are inspired by the many Realty Executives offices throughout our network as they host canned food drives to impact local charities. Together, we can extend the holiday celebrations we all enjoy to those who struggle to put food on the table. Please join us in donating canned food to your local Realty Executives office in order to make the holidays brighter for everyone in your community. The real estate professionals of Realty Executives Today in Astoria, New York continue to do a great job carving out their role as true community experts. 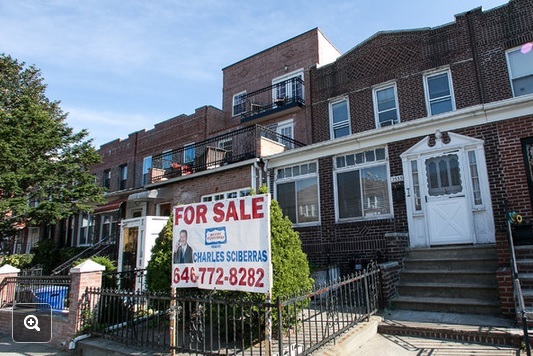 The New York Times recently featured a story about Astoria, Queens and turned to three agents in the Realty Executives Today office for the complete low-down on the neighborhood. The area, known as Ditmars, is a longtime stronghold of the Greek immigrant community in Queens. Congratulations to Executives Bianca Colasuonno, Vasilis Kokoris and Charles Sciberras for their knowledge on on all things real estate in this quieter section of Astoria, which is now seeing an influx of young people in search of more affordable housing.